Prerequisites: There are no prerequisites for these classes. Description: Quite the opposite of “no pain – no gain”, the motto of these Power Steps To Transformation programs are “no pleasure – no treasure”. These programs are designed to create an environment of joy-filled energetic expansion and personal transformation. These IET Steps to Transformation programs will help you heal your trauma without having to relive the drama or pain. In these workshops, the Master-Instructor teaching the class will share their angelic energy connection with you, and teach you to establish your own energetic connection with the energy of nine Healing Angels. You will learn to use ancient sacred geometry, combined with special techniques that Stevan J. Thayer channeled from Angel Ariel, to “get the issues out of your tissues for good”! In addition to experiencing these Steps to Transformation, you will learn hand mudras that will let you instantly re-activate them anytime. We recommend you take the first seven steps class before taking the higher steps class. Class Format: There are two popular formats for this class: either one Step per class, taught over several days, or a one or two-day class in which all Steps are covered together. Class Materials: you will receive a fully illustrated 18 page Integrated Energy Therapy’s Steps to Transformation Workbook for the Steps 1-7 workshop and an official Certificate. The workbook contains a description of each process, along with illustrations of the reactivation techniques and space for a writing process associated with each step. A workbook for the Higher Steps class is under way, but not yet available. Class Fee: $33 per event (step) when taught in segments, or $177 for the whole series, and $244 for a two-day class. Note this class (or segment) can be taught by Teleconference or Webinar (it does not require an in-person attunement). Step 8: World Angel Grid Phase 2 – Healing: typically an hour or two, learning and practicing to clear resistance to love and imprint empowerment in yourself and people world-wide. Step 9: World Angel Grid Phase 3 – Pure Joy: typically an hour or two, learning and practicing to add a layer of Pure Joy to the World Angel Grid with the help of the Cherubs, and can be used again as many times as you like. 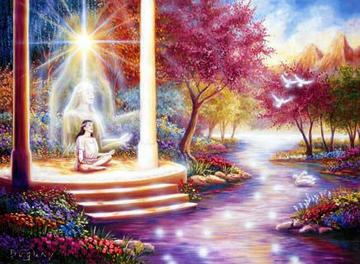 Step 10: World Angel Grid Phase 4 – Compassion: typically an hour or two, by participating in our Phase 4 program you will: Learn The New Angel Wash Process, Experience Angel Ariel’s HeartSeed Process, Let Compassion Bloom Brilliantly In Your Life, and Travel Inter-Dimensionally into the Dimension of Love. Step 11: Homecoming – Journey to Unity: typically an hour or two, you will meet your personal angel guide who will help you to discover your special healing and empowerment Heartlight colors, and then work with you to create a safe and powerful inner sanctuary. You will then move energetically deep within this sanctuary to powerfully experience the energy that unifies all life, which will move you beyond your ego’s idea of self, to discover your true spiritual self. Step 12: Unity in Action – The Crystal Key: typically an hour or two, this program starts with Angel Ariel bringing in the 2012 Unity Shift, which moves you to the crystalline vibration. From there you will journey to the highest angelic realms where, working with the support of your personal angel guide, you will create your own personal crystal key which you will use to unlock your heart’s code and become Unity in Action. Step 13: The IET Ascension Process: typically an hour or two, you will follow along during the creation of a new energy center within your body called a “Heart Star”. Using vortex energy and sacred geometry, you will merge your Earth Star with your Soul Star to align your life with the energy of the Unity Wave and create the optimal energetic vibration for you to experience Ascension. Higher Steps to Transformation Class: Steps 8 through 13 taught together, typically in a two-day format. To see Higher Steps to Transformation classes that are currently scheduled, click HERE.